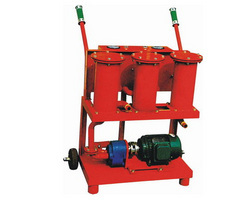 Designed for precise particulate filtering, this machine is an ideal portable oil purifier for solid contaminant. The device is equipped with three-stage purification. It is extremely portable and easy to operate. It can effectively purify solid impurities from oil, expanding the service life of oil and the operating efficiency of machinery.